Poinsettias will grace our sanctuary again this Christmas season. If you wish to contribute to the fund for these flowers, in memory of or in honor of a loved one, please call the church house by Monday, December 10, or fill out the form below. The cost is $15. We will list the honored names in the bulletin on the 4th Sunday of Advent. 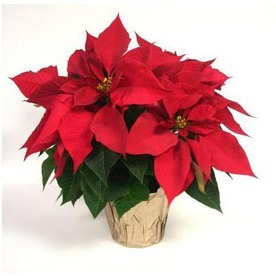 Enter the names you are memorializing with your poinsettias. These names will be printed in the worship bulletin. Enter the names you are honoring with your poinsettias. These names will be printed in the worship bulletin.